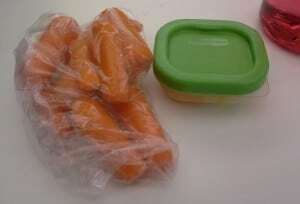 -Carrots with hummus- For a long time, I was a hummus hater. I thought it was disgusting and could never understand why people liked it. 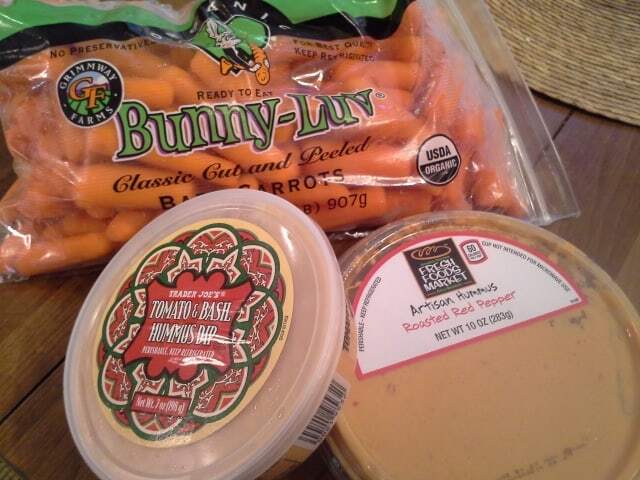 Then, I tried Trader Joe’s tomato basil hummus and I fell in love. Okay, maybe a slight exaggeration, but it’s SO good. 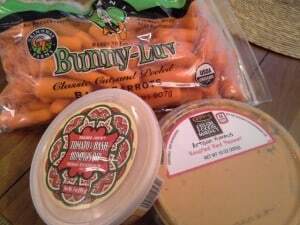 After that, I started liking other flavors of hummus, too, like roasted red pepper. So, maybe try some different flavors if you think you don’t like it! I usually pack my hummus into this tiny container and put some carrots into a bag, so it’s the perfect on-the-go snack. You can definitely use celery, bell pepper strips, or cucumber slices as dippers, too. 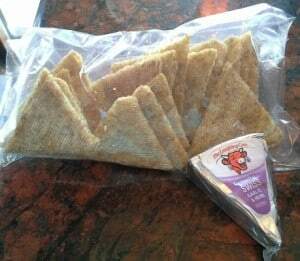 -Triscuits with Laughing Cow cheese- About 1 serving of Triscuits is the perfect amount to go with a wedge of Laughing Cow cheese. 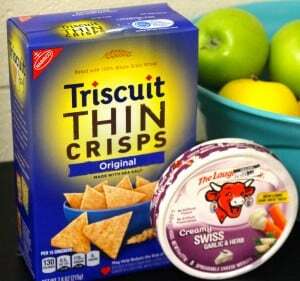 I love Triscuits and would totally eat them plain, but the cheese makes it more of a substantial snack. You could use any kind of crackers or cheese you like! 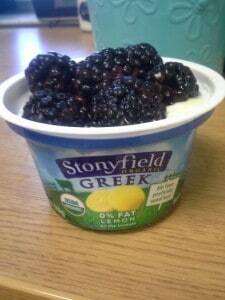 -Greek yogurt- I love Greek yogurt because it’s a great source of protein and it tastes amazing! I eat it pretty much every single day. I love buying a big container of plain yogurt and stirring in a little honey and fresh fruit, like berries or bananas slices. 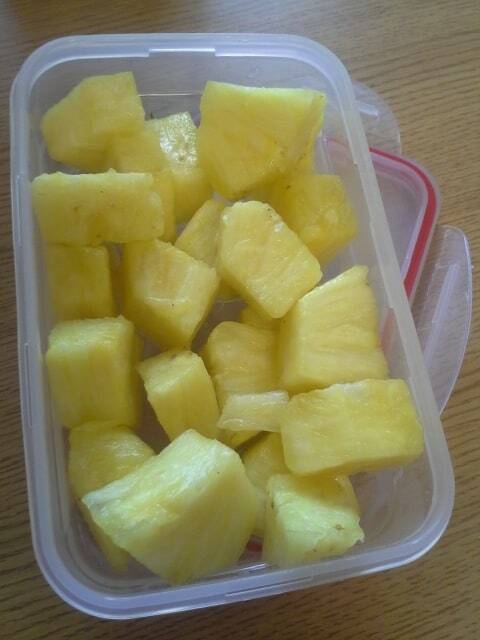 The individual containers are really convenient, too. I always stir some plain Greek yogurt into the fruit-on-the-bottom ones which makes them seem a lot bigger! Stonyfield’s lemon kind is one of my favorites- I could almost eat it for dessert, but I think things only count as dessert if there’s chocolate involved? 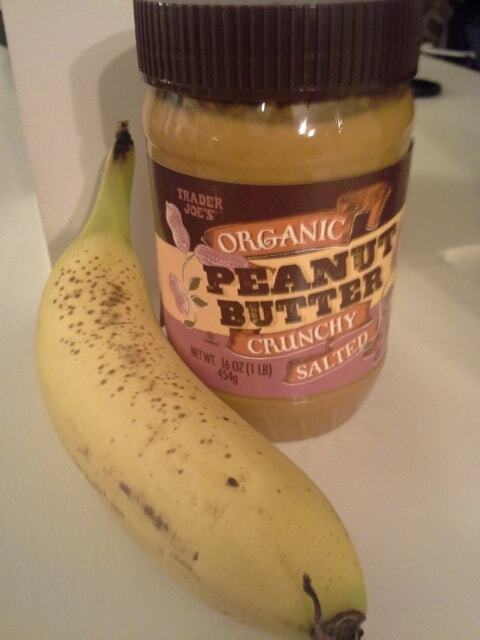 -A banana with natural peanut butter- Simple and perfect. Also, super cheap on a college student budget, especially if you grab bananas from the dining hall 😉 Or try almond butter for a variation on the peanut butter & banana combo. -Graham crackers with peanut butter or almond butter. 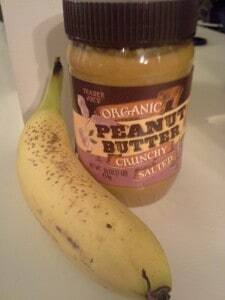 Try making a graham cracker and peanut butter “sandwich” and freezing it- so good! -Frozen banana slices- if you have bananas that get a little too ripe, peel, slice, and freeze them. They’re great straight out of the freezer! Hopefully these will give you some ideas for new snacks to try! Hummus- love or hate it? What are your favorite things to dip into it? 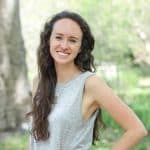 *You can subscribe in the sidebar if you want to be notified when I publish new posts!